I had 2 nucs going into winter, trying out a new way to insulate and protect the hive. It seemed to work okay. One hive died. I think it was due to a problem with the queen, so insulation wouldn't have helped there. 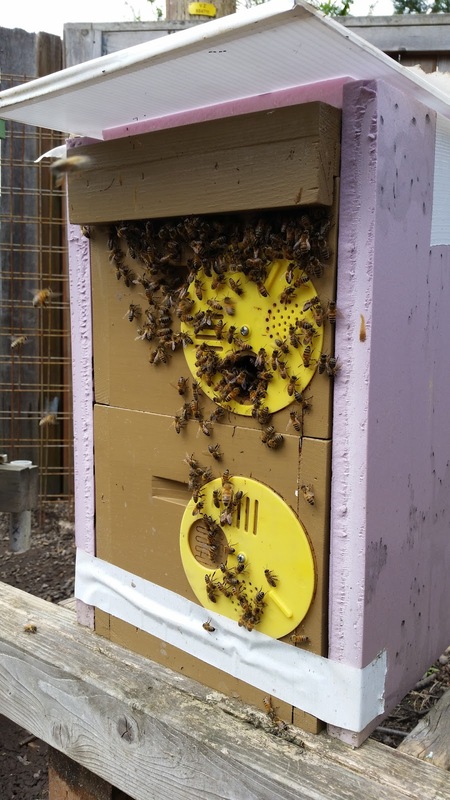 The other hive did great and came out really strong. However, the insulation provided a nice space for ants to create a little nest of their own under the top. Ants everywhere! Even with Tanglefoot on the posts. Apparently Tanglefoot requires re-application from time to time.